Trip and fall accidents are far too common, and the injuries that can result from these mishaps can have a detrimental impact on your health, finances and future well-being. Property owners have an obligation to ensure their grounds are safe and free of hazards. When you are injured on another person’s property, you may have grounds to pursue damages from the owner of the property. If you’ve been hurt in a trip and fall accident and need an experienced attorney to help you seek the justice and compensation you deserve, please contact Reid B. Wissner Law Offices today by completing the form on this page or calling 212-406-9288 to schedule a free, no-obligation consultation. We proudly welcome clients from Brooklyn, Queens and the Bronx. Our firm works on a contingency-fee basis. This means that we don’t get paid unless you do. Where do trip, slip and fall accidents happen? 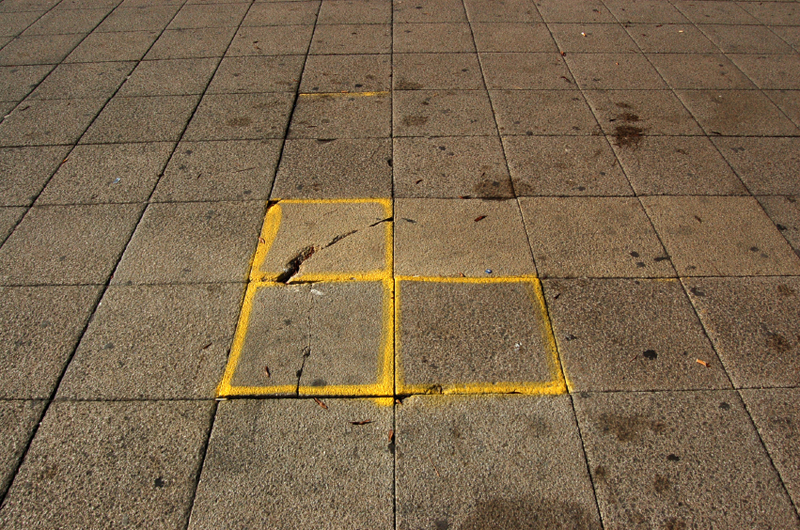 Trip, slip and fall accidents are usually considered premises liability cases. These types of cases deal with situations in which a property owner or custodian is negligent in the repair, maintenance and upkeep of a property, leading to an injury. Determining liability in these types of cases can be extremely difficult without the help of an experienced attorney. For more than 30 years, Reid Wissner has handled thousands of complex personal injury cases, helping his clients obtain the full and fair compensation they rightfully deserve. A trip and fall accident can result in all kinds of injuries that vary in severity. Some falls lead to scrapes and bruises. These types of injuries don’t usually have any financial or emotional repercussions beyond perhaps some temporary embarrassment. Fractured and broken bones: Fractures are very common in slip and fall accidents. You may break a wrist or arm trying to brace yourself from a fall or break other bones depending on how you land. For elderly people, broken hips can be life-threatening experiences. Spinal cord injury: These serious injuries can be so severe that they result in partial or complete paralysis and even death. Traumatic brain injury: Brain injuries can arise from all types of injuries. TBIs present life-altering consequences for cognition, emotions, motor and language skills and more. Soft tissue damage: Unfortunately, far too many people who suffer trip and fall accidents consider their injuries to be just sprains and don’t seek legal action. However, even strains and sprains can have far-reaching consequences. For example, injuries to a knee ligament may require rehabilitation or even surgery, and make it difficult or impossible to perform your job duties. Private homes (Apartment Buildings): Every home owner is responsible for the safety of his or her guests. Slip and falls that result from a cluttered floor or dangerous stairway can cause injuries that are just as severe as they would be if they happened elsewhere. Unfortunately, many people are reluctant to file a lawsuit in these accidents for personal reasons, especially when it involves a fiend, relative or neighbor. It’s important to realize that most home owners have homeowner’s insurance so when you sue them, you are likely suing the insurance company for compensation. Workplaces: Falls account for some of the most common occupational injuries. State and federal regulations require employers to provide workers with adequate safety equipment, training and other safeguards to avoid falls and injuries at manufacturing plants, construction sites and office environments. Restaurants: Employees and customers at sit-down and fast-food restaurants face hazards from spills, slippery floors, clutter, trash and debris. Stores: Owners and managers at shops, malls, grocery stores and shopping centers are responsible for ensuring that aisles are not blocked, spills are promptly cleaned, and warning signs are visible when custodial work has left floors wet and slick. Holes: Trenches, holes, uneven, unleveled and other hazardous conditions in parking lots or other paved areas should be covered, filled or marked with fencing or warning signs. Insufficient lighting: Inadequate light makes it challenging to recognize changes in a walking surface or to see stairway steps or other obstacles. Moving from a well lit area into darkness can also result in a momentary loss of vision that can result in a fall. Damaged floors and stairs: Loose floorboards and floor tiles, torn mats and carpet, loose or broken handrails or stair treads can all pose significant risk to people. Whenever a walking surface can shift under a person’s weight while they are stepping or climbing stairs, falls can occur. Cluttered floors: When floors are cluttered, the risk of tripping and falling increases. Clutter can include store merchandise left in aisles as well as equipment, supplies, trash or other debris that can create a walking hazard. Wet and slippery floors: Tracked-in snow and liquid spills should be immediately cleaned. Once floors are properly mopped, signs should be put out to warn people of potentially slick surfaces. In addition to the common causes of slip and fall accidents listed above, accidents caused by snow and ice and dangerous sidewalks are among the most common reasons why pedestrians trip, slip and fall. Broken, cracked or otherwise dangerous city sidewalks can result in severe injuries. When sidewalks are not adequately maintained by property owners, those who travel along them are at risk of tripping and falling. Unfortunately, children, senior citizens, mothers with strollers and other individuals with mobility challenges are most likely to suffer sidewalk accidents. 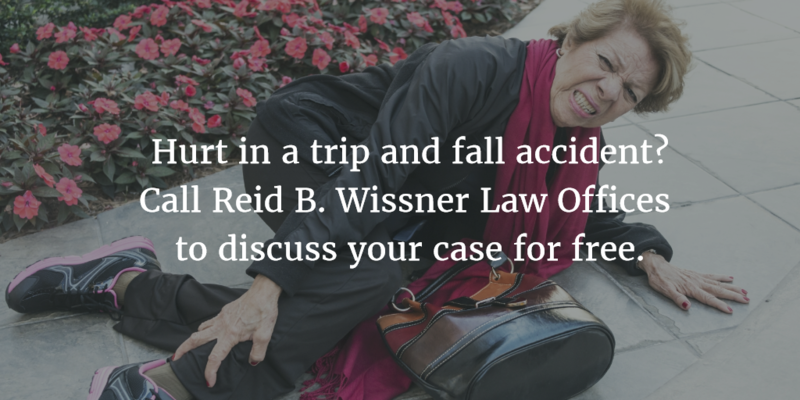 If you or someone you love has slipped and fallen or tripped and fallen on a New York sidewalk, it is important to contact Reid Wissner today to schedule a free consultation to determine the strength of your claim. New York winters can be downright frightful for people traveling by foot: relentless snowstorms, freezing rain, blustery winds and sub-zero temperatures can all contribute to a serious risk for pedestrians. The accumulation of snow and ice on sidewalks, parking lots and driveways can create a multitude of hazard zones, resulting in serious and potentially lifelong injuries. 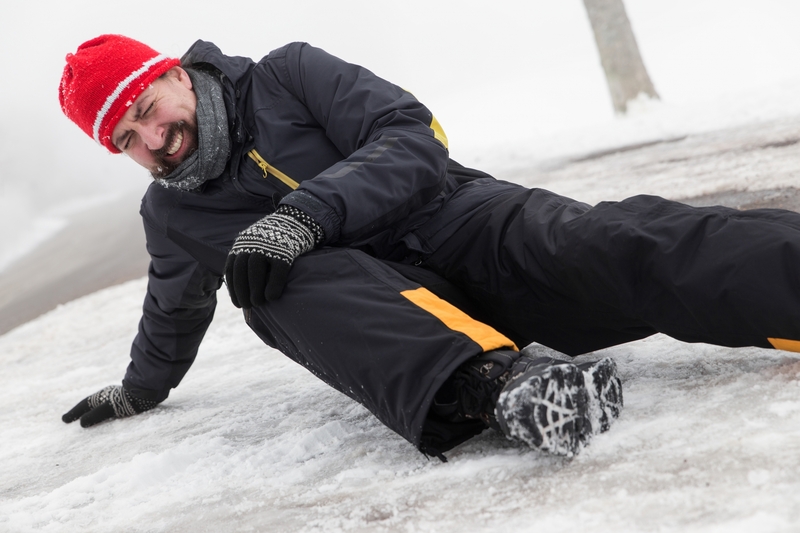 Unfortunately, many people who slip and fall on slick and icy surfaces are often too embarrassed to file legal claims because they mistakenly believe that the accident was their fault. However, that is often not true. Property owners are obligated to clear access to their own buildings, parking lots and walkways even when these areas have been blocked by snow that was pushed aside by a city plow. These areas must be cleared without moving the accumulated snow onto city streets. Additionally, property owners are required to keep interior floors dry. This can be accomplished by consistently mopping up any ice or snow tracked in by visitors, customers or employees. “Wet floor” signs should be set out to alert others to potential hazards. Reid Wissner is passionate about helping you get back on track. 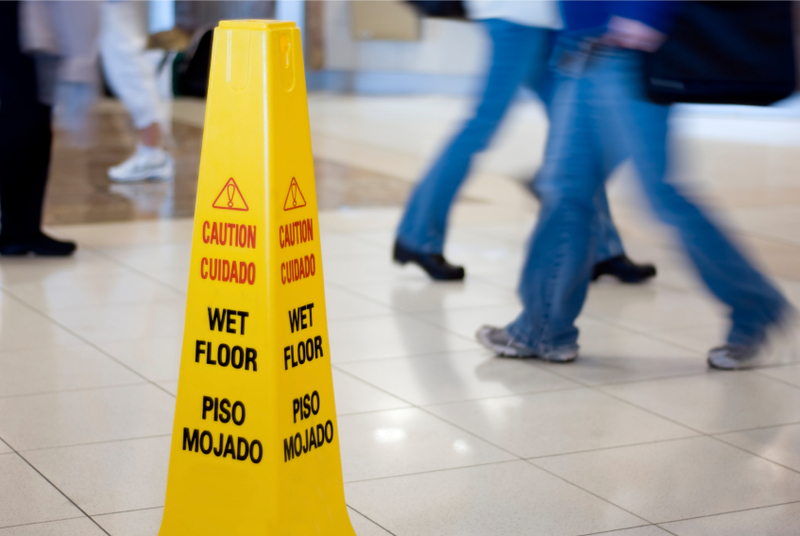 In every slip and fall premises liability claim he pursues the maximum compensation for your losses. After your free initial consultation, he will examine every aspect of your case, identify the parties responsible for your injuries and work diligently to hold them fully accountable. Reid B. Wissner Law Offices understands what a difficult time this can be for you and your family; let him focus on all of aspects of your case so you can focus on healing. To schedule your free slip and fall consultation, please contact us today by using the form on this page or calling 212-406-9288. We proudly help accident victims from throughout the areas of Brooklyn, Queens and the Bronx.